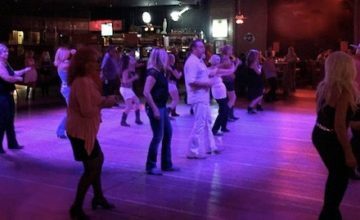 My articles in the previous two months discussed the physical, mental, and emotional impact that line dancing can have in your life. 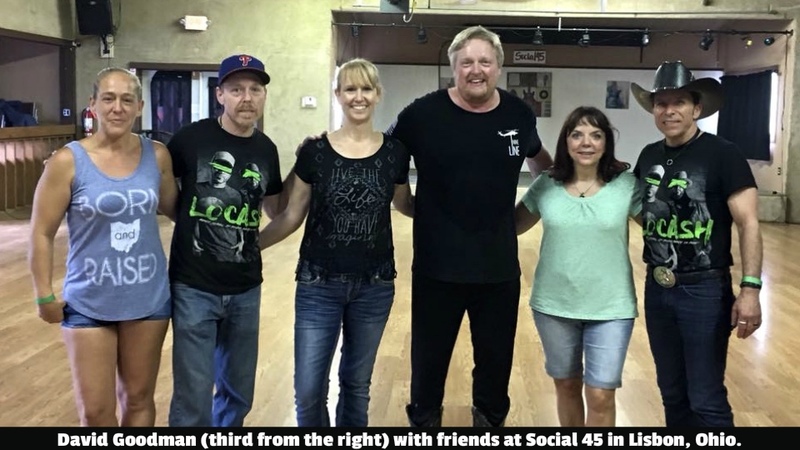 Recently I sat down with a local line dancer and instructor, David Goodman of Social 45 in Lisbon, Ohio, to discuss his statement that line dance actually saved his life. David stated that he was active and could line dance for hours with no trouble. There came a time during exertion while line dancing that his body started showing symptoms. First it was tightness in his chest, and if he continued dancing, he would experience tingling in his arms. Since he was aware of how his body was reacting while dancing, as his symptoms progressed, he went to his doctor to get checked. He had a stress test that showed an abnormality so they sent him for more tests, including an echocardiogram and heart catheterization. The results showed an 80/80/50 percent blockage in three different arteries! This news obviously caught everyone’s attention. One of the 80% blocked arteries is called the “widow maker” and the doctor said if David had been a ‘couch potato’ he would have suffered a major heart attack and his odds of survival would have been slim. Since they had a diagnosis, he had some flexibility to schedule surgery and was given a 99.7% success rate with the outcome. David had triple bypass surgery on August 31, 2018 and because he was in decent shape, he recovered twice as fast. His balance from years of dancing also helped with his recovery. Fifteen days later, David line danced outside with the “Social Stompers” at the Johnny Appleseed Festival in Lisbon. He stated he felt good but his endurance was low, so he took breaks between the songs & dances. Two days after that performance, David taught a two hour line dance class. His nurse stopped her home visits, stating he didn’t need her anymore. His body core strength from dancing helped in his progressive recovery. A week later, he taught a 2 ½ hour line dance class, without taking any breaks!! David will not be released to go back to work until his sternum is healed. As a bonus, a sciatic nerve issue he previously had is gone now too; he has no idea why or how! David wants people to know that his symptoms developed and progressed quickly. He was the ‘picture of health’ and if it could happen to him, it could happen to anyone. He is encouraging others, especially a man he recently met who had the same surgery over a year ago and hasn’t fully recovered, to check with a doctor and hopefully be able to start line dancing. It might just save your life!! 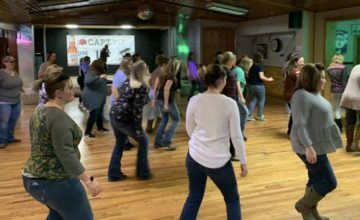 Dori Yez teaches Country Line Dancing on Mondays at Rolling Mills Bar in Girard, Ohio and Thursdays at the Landmark Hotel in Mercer, PA. For more information, check out their Facebook pages. In addition, Dori teaches at Trumbull SCOPE Centers – at the Niles location on Tuesdays and in Cortland on Fridays. I’m glad to hear your comments! Great article!! I remember getting winded when I’d run up my steep house stairs years ago. That never happens anymore since I started line dancing. I think I can run around my country block now!! The friends made and health benefits will always keep me linedancing ? Thanks for sharing and I’m happy for you!! 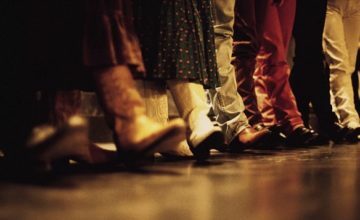 Line dancing is great exercise for the body and mind. So when you’re body is telling you something is wrong please listen and get checked out. Even though David needed a triple bypass he was able to get the situation fixed before there was any damage to his heart. Most people are not that lucky and suffer a heart attack without realizing something is wrong. I am greatful David chose to get checked and should be line dancing for many years to come. A friend of David’s came to visit him in the hospital. We hadn’t seen him in years. Little did we know this would be the last time we would see him. Three months later this friend suffered a massive heart attack and passed away. So everyone dance as long as you can and stay healthy doing it. Sorry for your loss… Thanks for sharing, and I hope people listen to your great advice! !